Finding funding for your PhD is not always easy. They are rare and are not too often publicized as Masters and Bachelors scholarships. However, tens of thousands of these types of scholarships exist all over the web especially for students from Africa and other developing regions. A few of these scholarships have been identified as some of the top scholarships for intending PhD and Post-doctoral students. 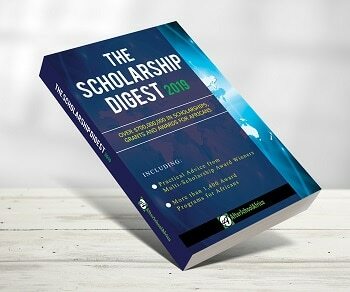 So the next time you have to search for a PhD scholarship worthy of your resources, here is a top fifteen list of carefully analysed scholarships, studentships, fellowships or grants in terms of provisions for research and the large pool of grantees received. Some of these scholarships are yet to be launched while some are ongoing/past. Research and apply for ongoing scholarships or bookmark this page for incoming ones. The Graduate Institute of International and Development Studies, Geneva, Switzerland offers fellowship programme, open to outstanding young professors from universities from developing and emerging countries in Africa, Asia, or Latin America, pursuing advanced research in areas bridging the fields of international and development studies, broadly defined, and working in disciplines such as anthropology, history, law, politics and political science, and economics. The Consortium for Advanced Research Training in Africa (CARTA) offers an innovative model for doctoral training in sub-Saharan Africa to strengthen the capacity of participating institutions (in Africa, Europe and America) to conduct and lead internationally-competitive research. Each year, the German Academic Exchange Service (DAAD) support young professionals from developing countries with a variety of scholarships to pursue internationally recognized Postgraduate degrees in selected courses at German Universities. The Commonwealth Scholarship and Fellowship Plan is one of the largest and most prestigious scholarships schemes for international study in the world. Since it was established in 1959, around 30,000 individuals have benefited – 24,000 of them have held awards funded by the United Kingdom, managed by the Commonwealth Scholarship Commission in the United Kingdom (CSC). Trudeau Foundation offers Doctoral Scholarships for Canadian Citizens and Foreign Nationals (with preference to developing countries) to study Social Sciences and Humanities at Canadian Universities. The University of Cambridge will offer, via the Cambridge Trusts, approximately 250 Cambridge International Scholarships to Overseas Students who embark on a research course in the next academic year. The Korean Government Scholarship Program (KGSP) is offered to international students from developing countries who want to pursue Bachelors, Masters and PhD degrees in Korean Universities. The Fulbright Foreign Student Program enables graduate students, young professionals and artists from abroad to study and conduct research in the United States. The scholarships are for study towards a Master’s or PhD degree, and can also be awarded for non-degree postgraduate studies. The Hong Kong PhD Fellowship Scheme (HKPFS), established in 2009 by the Research Grants Council (RGC), aims at attracting the best and brightest students in the world to pursue their PhD programmes in Hong Kong’s institutions. The primary target group in the CIMO Fellowship programme are such Doctoral level students who will be doing their Doctorate (or Double Doctorate) at a Finnish university . Four three-year Postdoctoral Fellowships will be awarded this year. The stipend for each of the three years of the fellowship will be approximately $84,500. In addition, fellows are provided with a shared office, a personal computer, a research account of $5,000 a year, access to university grants, benefits and other resources. KAAD is working with partner countries in the regions mentioned below to provide scholarship opportunities to citizens who are interested in research. International Federation of Surveyors (in French Fédération Internationale des Géomètres abbreviated FIG) is offering scholarships to students from developing countries interested in studying for a PhD degree and in surveying/geomatics. Newcastle University is committed to offering support to the very best international students hoping to pursue a programme of research. The Niels Henrik Abel Board and the International Mathematical Union invite applications from mathematicians professionally based in developing countries to visit an international research collaborator for a period of one month.